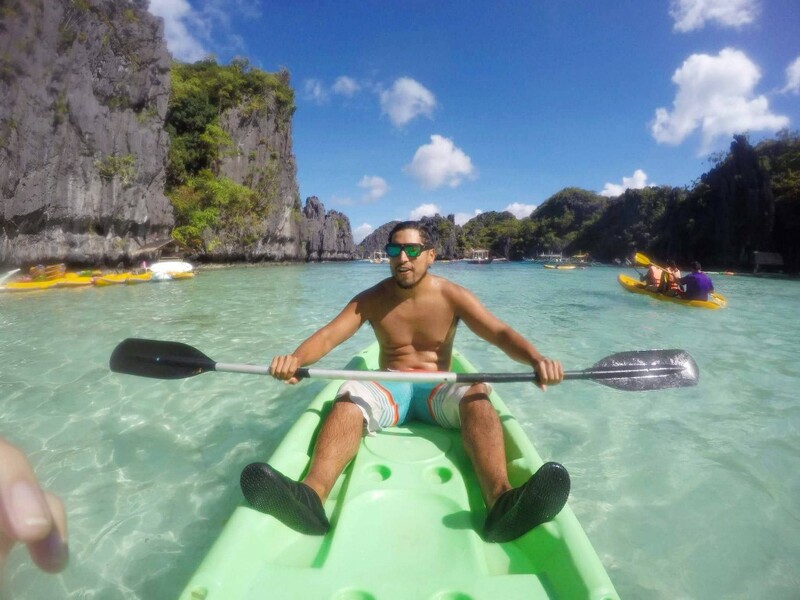 One destination of our South East Asia Trip was Palawan in the Philippines. 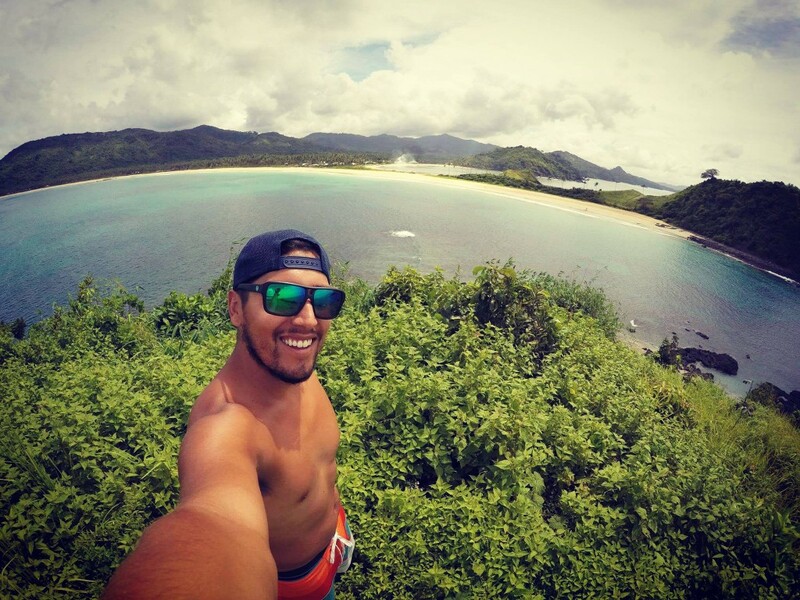 We spend 3 weeks there and we want to share our Top Things to do in Palawan, Philippines. Not every experience in the Philippines was a good experience. People tried to trick us as well, but we had really good times, met really good people and spent time in the most amazing places of the world. 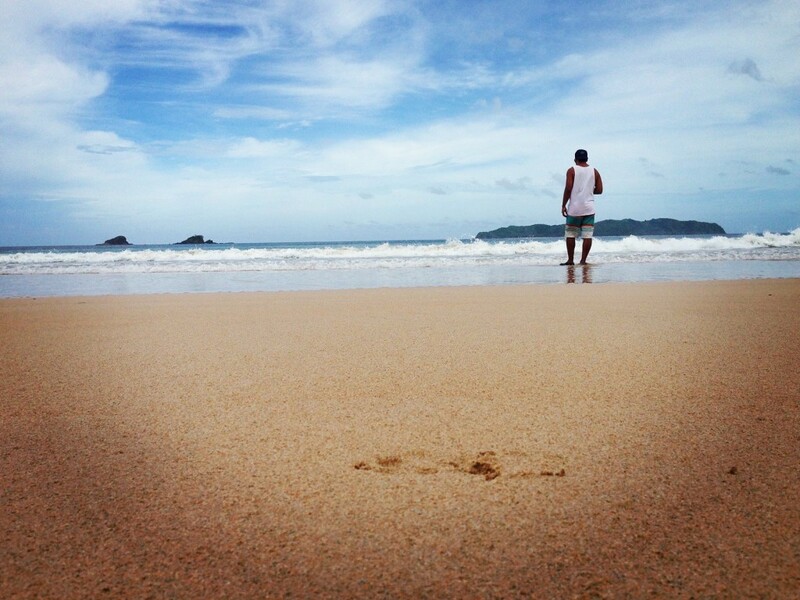 The Nacpan Beach is one of the best beaches I have ever seen. The water is crystal-clear and warm, but also refreshing. The beach is so beautiful and clean. The roads to get there are a little rough, so i would recommend to take a tricycle if you are not used to ride a scooter. We got a tricycle driver for one day, which was about 15 euro and he drove us to every places we wanted to see. We arrived early in the morning at Nacpan Beach and we were really impressed. The white sand, the little islands around and of course the crystal clear and blue water was like in a dream. 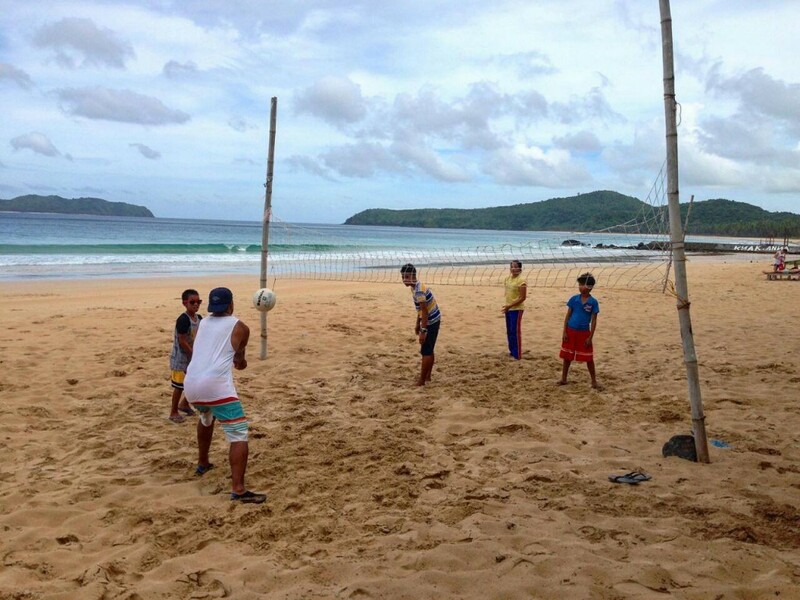 There were a few locals, who played beach volleyball together and we joined them. It was so much fun to play with locals and they were so good. After the game we had lunch and it was the best Chicken Adobo we have ever eaten! It was an unforgettable day in Paradise. 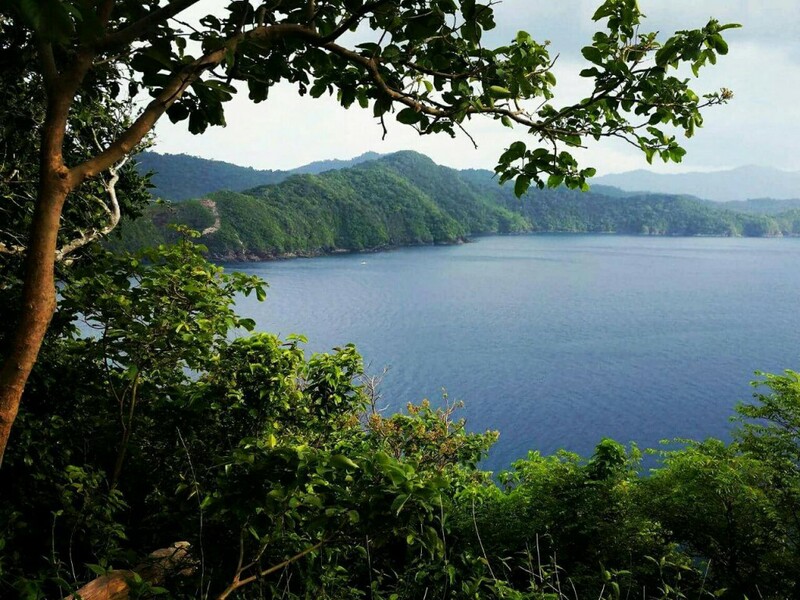 The beautiful small Island called Cacnipa is located on the east coast of Palawan, about 30-45 minutes boat ride from Port Barton. There is only one Resort on the Island, the Coconut Garden Resort, which is amazing. We planed to stay there for 3 days, ended up staying a whole week, because we didn’t want to leave this magical island. We loved the lonely beach with the crystal clear water. 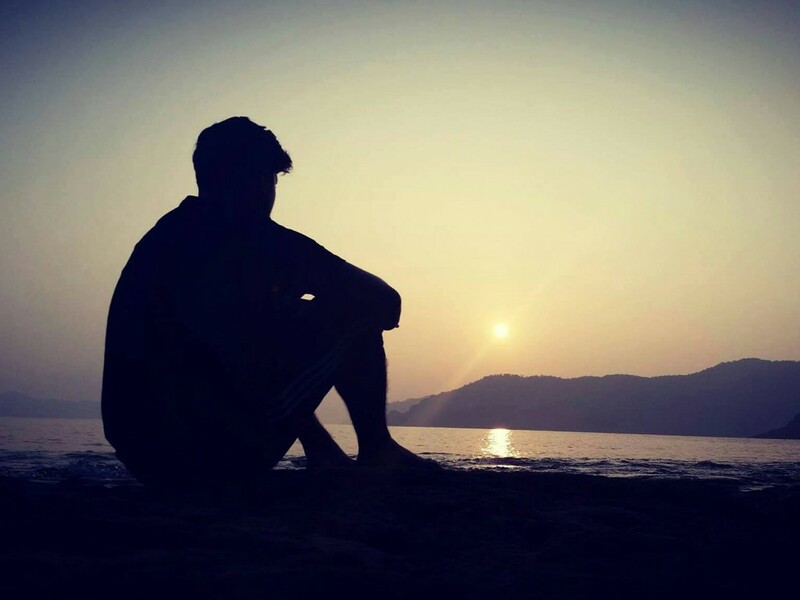 It is one of the most relaxing places I have ever been to. 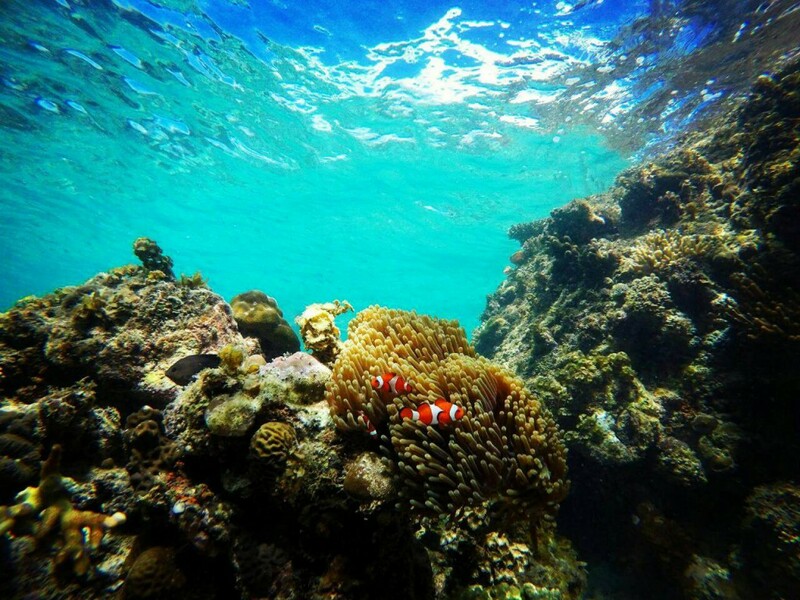 Snorkeling in the mornings around the riff of the beach was the best: there are so many different species of fishes and we found 3 turtles on Cacnipa Island. The underwater world is incredible there. I will never forget how i felt when I was chilling in the hammock in this beautiful scenery on Coconut Island! 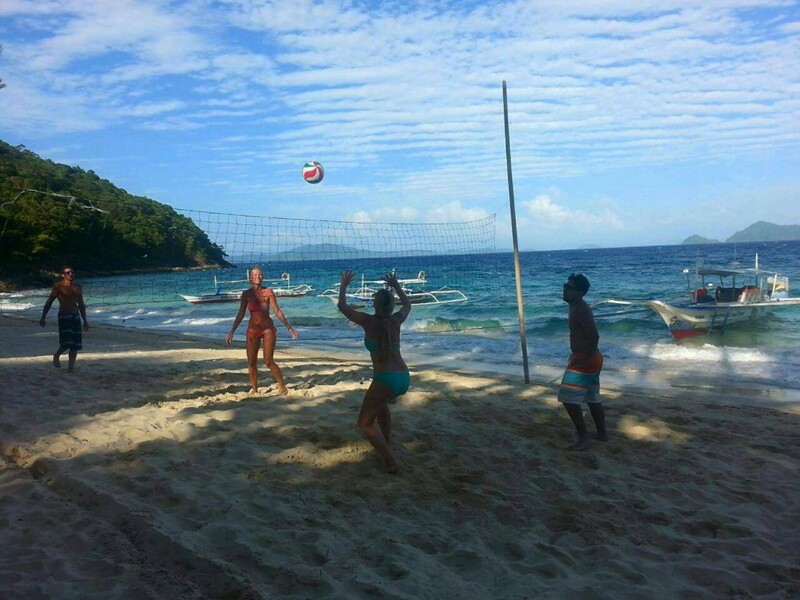 In El Nido the locals offer you several tours to explore the islands around. We booked a the Tour A. One of the stops was at the small lagoon. The boot drops us in front of the entrance of the lagoon and we rent a kayak. We had so much fun kayaking and exploring the small lagoon. The water is so nice and the atmosphere unbelievable. 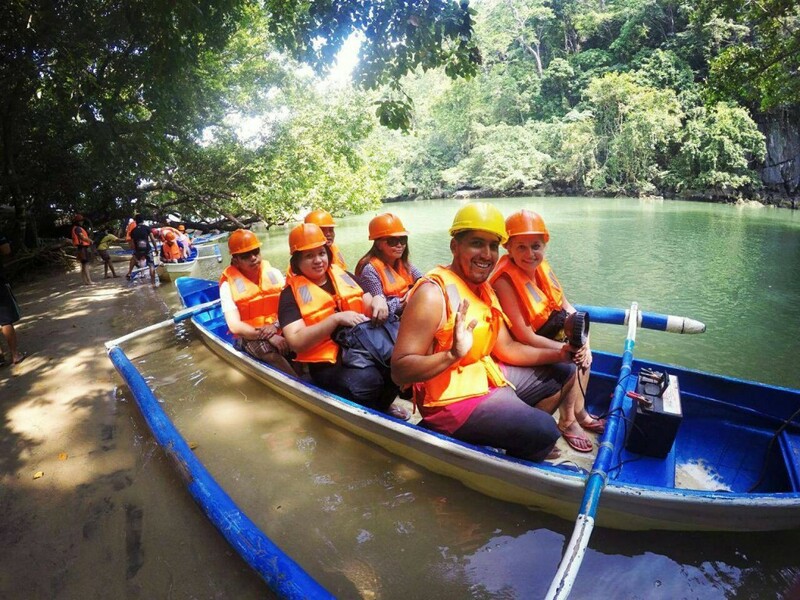 The Underground River in Sabang is on of the New 7 Wonders of Nature. 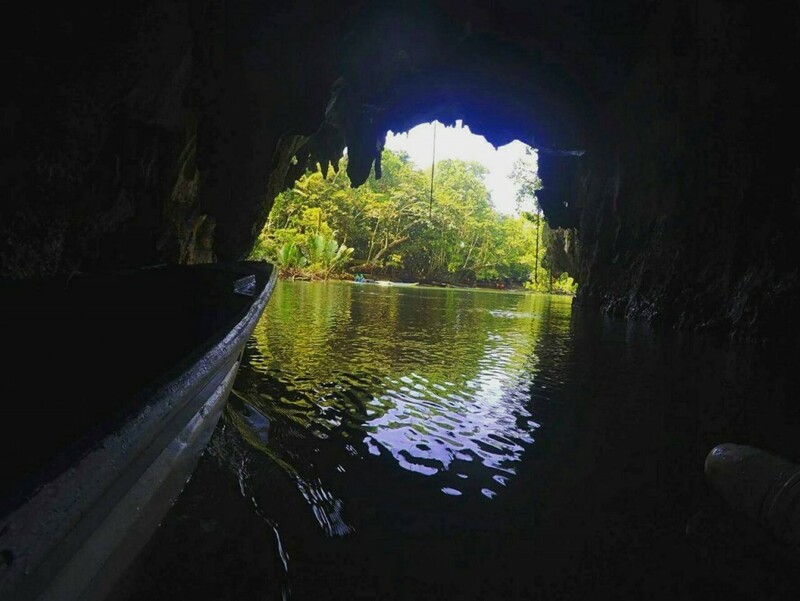 It is a huge river cave, which you can explore by boat. It is about 80 km north of the main city Puerto Princesa. 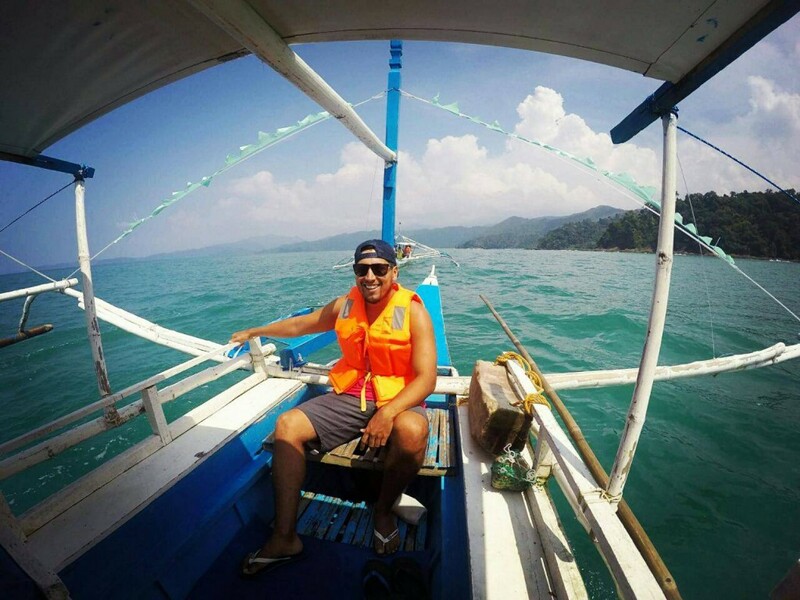 From Sabang you can hike there or take a boat to the entrance of the Underground River. The cave is complete dark, so you sit together with up to 7 people in a boat and you have a flashlight. It is really fun to see this amazing Underground River with all these rock formations. The Nagkalit kalit Waterfalls are located deep in the forest about one hour away from El Nido in the north of Palawan. We had our personal tricycle driver for one day (for 15 euro) and one of our stops of the day was the Nagkalit kalit Waterfall. I did not expect much when we hiked for about 45 minutes through a lush jungle and crossed small rivers. When we arrived there I was speechless. 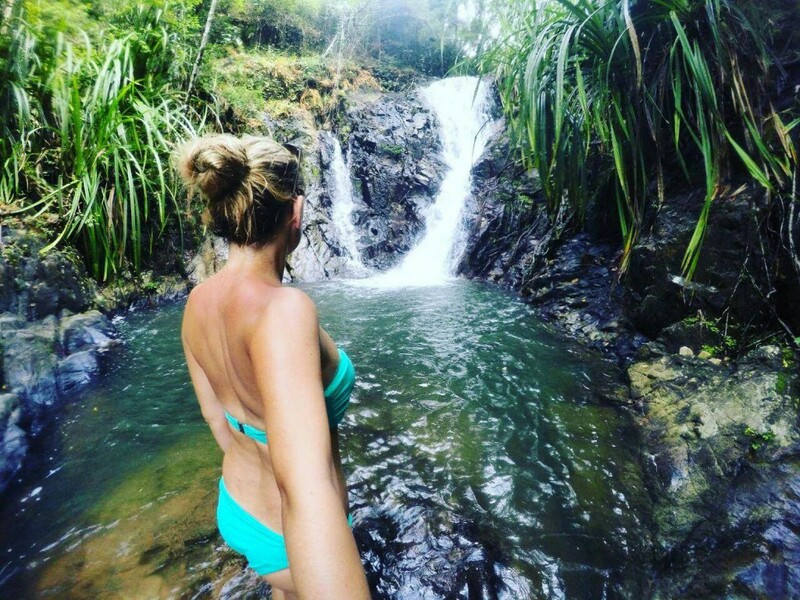 It is a really beautiful waterfall, we climbed down and got in the refreshing cold water. 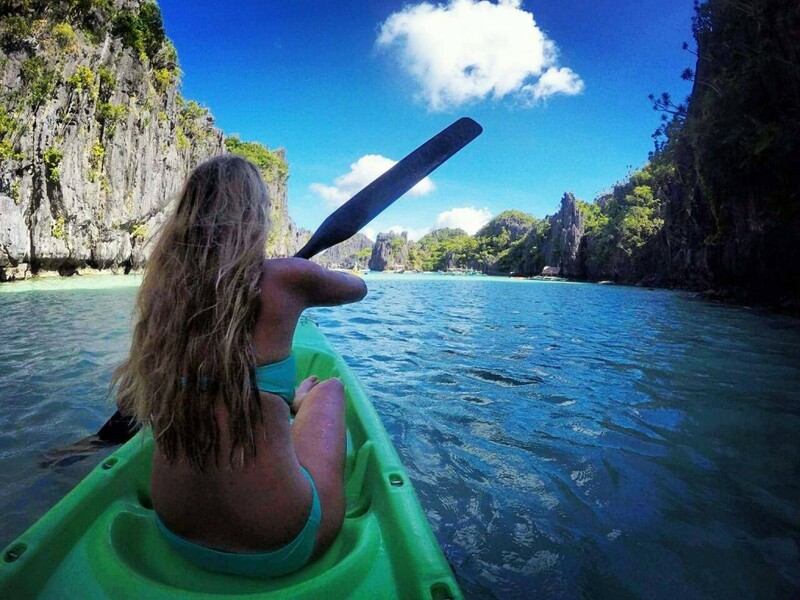 It was such a great feeling and a perfect day in Palawan, Philippines. You want more informations about the Philippines? 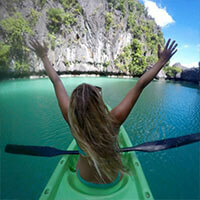 Go to our Destination Guide for the Philippines!